Every year around Christmas time, I usually receive some Christmas cards and/or gifts from some of the various affiliate networks that I’m a member of. While I love to receive actual gifts, I really do appreciate getting Christmas cards from the networks as well. It just shows that they haven’t forgotten about me and are making some sort of effort to let me know that fact. Thank you AmpedMedia, EWA Network, and especially PeerFly! Check out what Browie and Becky Marie received from the affiliate networks this year. Thats awesome!! I received a few gifts as well and it definitely makes me want to work with that particular network a bit more!! Pretty sweet that you got some more gifts from affiliate networks Tyler. And Yeah venison is deer meat! Good stuff 🙂 I like cheese! Thats very generous of them! 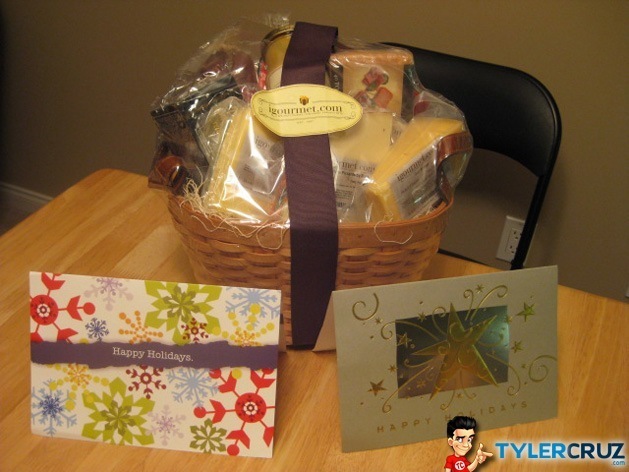 First of all happy new year to all……..Congrats Tyler for such a Nice gifts from affiliate networks…….. I got some popcorn for Christmas from a company but thats it! That’s awesome! Those cheezy cakes look really mouth-watering! Can I have a bite? 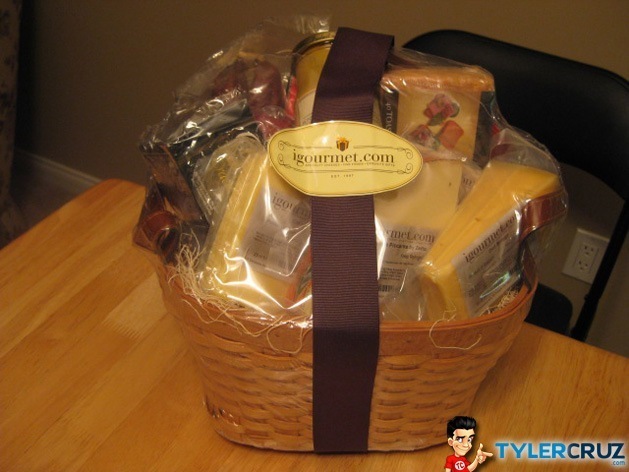 I’m jealous of the gourmet basket. All I got was a lame christmas card, but my affiliate income was rather low last year. 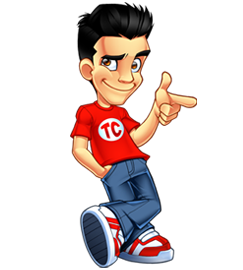 Hopefully I can get my business back going enough for the affiliate networks to remember me. By the way, you need a Santa hat for next year’s version of this video. You should get more into the Christmas spirit for things like this. You would also match your Christmas themed logo/mascot. Thats really cool. I still haven’t become too involved yet but i am working on it. Darn, I missed this… Sigh!